It’s truly hectic. No matter what you do something always skips your mind-full considerations and creates hassle in the last moment. Minor things like turning the central heating system off or locking the back door can be managed if you remembered them in time. But if it is bigger blunder like forgetting some of your luggage with all your shoes in it, IT’S NOT GOOD. There simply are a few matters in which mismanagement cannot be tolerated. Therefore, the only logical solution is to plan everything step-by-step. Vigilance is the actual key to proper planning of your travels. 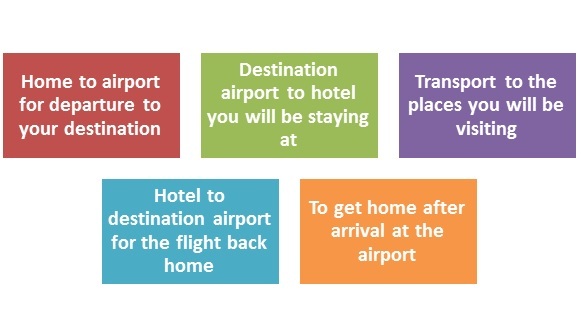 Here is a step-by-step guide to avoid ending up in a predicament pertaining to hasty travel plans. Make your budget and decide the destination you want to go to for vacation. Look for combo deals & discounts on flight tickets and accommodation. Managing all your transfers and transportation indicated below. Pack proper yet light. Do not leave out anything to pack before you set out. Inform the paper guy or milkman and take care of the other trivial essentials. Administering the transport is the obvious time take. So, deal with it as soon as possible. The whole transfer issue can easily be dealt with through advance booking reliable UK airport parking deals. Similarly, you can book deals for accommodation that give pick and drop to and from the airport too. Abide by these simple suggestions and travel in peace by being confident that you covered all your bases.